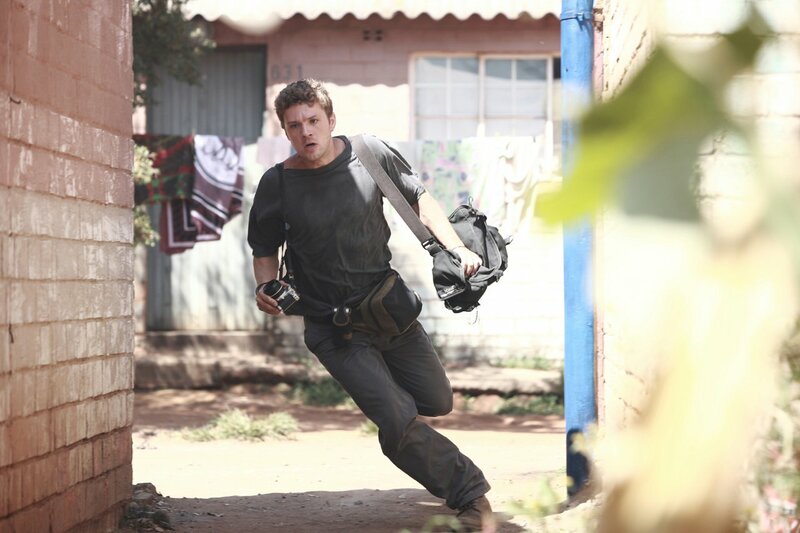 Ryan Phillipe stars in "The Bang Bang Club," a new docudrama about photojournalists that has parallels to recent deaths of photojournalists in Libya. While it’s purely coincidental, the movie “The Bang Bang Club” could not have hit theaters at more opportune time. With the deaths of two photo journalists working in Libya — including Tim Hetherington of “Restrepo” fame — reported earlier this week, we believe some will be (or should be) curious to find out what drives photographers to seek out dangerous environments and capture poignant images. The story of the heroic photojournalists killed in Libya will certainly be told in many different forms, but if you have immediate interest in the mindset of people who undertake such a hazardous profession, we are guessing the “The Bang Bang Club” will provide some insight. 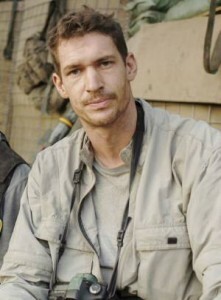 Tim Hetherington, one of the photojournalists who died in Libya this week. “The Bang Bang Club” is a true story that takes place in South Africa during the early and mid 1990s, the boiling point of the country’s Apartheid. The movie follows a group of young, white photojournalists who documented South Africa’s internal struggle during the last days of Apartheid. We won’t give you the whole chapter and verse about the young photographers (here’s the Wikipedia page about them), but suffice to say, their story has some parallels to this weeks events in Libya: a country is undergoing internal strife, it becomes a hotbed of violence, photojournalists document the historical revolution, and photojournalists end up sacrificing their lives to get photos. We will guess that the “The Bang Bang Club” is a bit dramatized, and we will guess Malin Akerman gets naked in it because that seems to be her calling card (we’re also guessing actor Taylor Kitsch — of “Friday Night Lights” fame — takes off his shirt, as that’s usually his calling card). We haven’t read a single review of the movie (here’s one from Gapers Block if you’re interested), and we have no idea if it’ll be a decent film or not. We just think the story is one worth checking out, given this week’s tragic events. And of course, it’s never a bad idea to go see a film at the Music Box, no matter how many modern amenities it lacks. Its a movie theater with charm, which is more than we can say about those large establishments that charge $11 per ticket and another $15 for parking. “Bang Bang Club” (trailer below) at the Music Box Theatre * 3733 N. Southport Ave. * Lakeview. Opening today.